Cryoskin is a unique technology which was developed specifically for beauty salons and version 1 was launched in the French market in 2013 after 2 years of research. 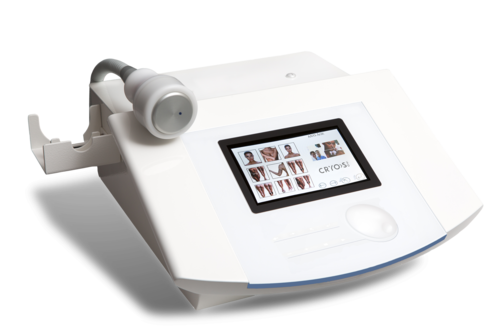 The second iteration is still the best selling cryolipolysis device in France, and the third iteration was launched internationally in June 2018. See INTERNATIONAL. CRYOSKIN 3.0 combines several revolutionary innovations that make it the most effective device available in the US market for fat loss and skin toning treatments. Unlike other fat loss treatments, CRYOSKIN 3.0 has all the fat loss benefits without the side effects. With no cups, no suction and the constant supervision of the beauty therapist during the treatment, CRYOSKIN 3.0 is the only cryolipolysis device on the market that guarantees the maximum efficiency without any damage to the skin. During a Cryo-Slimming (cryolipolysis) treatment the skin is warmed then rapidly cooled. After this Thermal Shock, the practitioner will massage the treatment zone, using the handset, applying low temperatures. Results are immediate and you can lose between 1 and 2 in per session*. We recommend 5 sessions to treat completely one body area. It is possible to treat almost any part of the body and chin (cryolipolysis is not permitted on the face or breasts). Check our Monthly Promotions for possible discounts. A CRYOSKIN 3.0 facial uses cool temperatures to tone and rejuvenate the face. The increase in oxygen supply boosts collagen production, improving the elasticity of the skin. Muscles retract with the cold for a tightening effect on the skin. The face appears fresher and younger. The cold opens the blood vessels, increasing oxygen supply. The local blood and lymphatic circulation is stimulated, emptying the cellulite dimples. The skin is smoother. Cold temperatures can be used as well to treat any part of the body (cleavage, arms, breast, etc.). By increasing nutritional supply to the cells, CryoToning Body treatments have a tightening effect on the skin. Cryolipolysis (fat freezing) is the use of below-zero temperatures to eliminate the adipocytes (fat cells) located under the skin. Over 70 scientific and clinical papers have been published by renowned doctors and researchers which demonstrate the effectiveness and safety of the procedure when applied correctly. The beauty therapist applies low temperatures to the treatment area, which cause the fat cells under the skin to die naturally. This phenomenon is called apoptosis. The dead fat cells are then disposed of via the lymphatic system and normal body processes within 2 to 3 weeks. This elimination process is perfectly natural and harmless for the body. 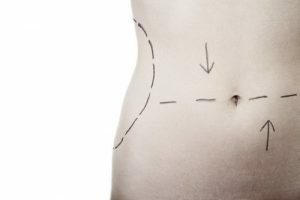 There is an immediate loss of centimetres at the end of the cryolipolysis session, but the final result will be achieved 2 to 3 weeks after when the elimination of waste will be complete. Once the fat cells are gone they will never return, although a healthy diet is recommended after the treatment to prevent the remaining fat cells from enlarging. Cryolipolysis technology with suction of the skin (such as Cool Sculpting) was the initial technique invented in the USA 20 years ago. It consists of cups of various sizes that the beauty therapist will attach to the client’s body parts. It’s a hands-free technology. The beauty therapist will apply the cup and leave it for 50 minutes. The skin is sucked into the cup and the cold triggers the apoptosis phenomenon (death of the fat cells). At the end on the treatment, the beauty therapist will disconnect the cups, and massage the treatment zone. It is possible to do a cup treatment every 2 months (time necessary for the skin to recover). Cryotherapy is the term used for medical and aesthetic treatments using cold temperatures. Cryotherapy includes cryolipolysis (fat cell destruction), but as well cryo chambers and cryo facials using nitrogen. At massage Bliss & Cryo we use cryotherapy on the menu to describe whole body cryterapy in a cryochamber. The device is very safe. In terms of programming and electronics, it is managed by a computerized Windows system. The cooling system is controlled by an electronic temperature sensor located in the processing head of the device and the temperature is controlled in real time by the machine and temperature is displayed on the screen. The Cryoskin was launched 5 years ago and is used throughout France. It is currently the most successful non-invasive slimming treatment available in France, the beauty capital of the world. By implementing a healthy lifestyle with a good diet, exercise and detoxification services at Massage Bliss & Cryo such as Infrared Blanket, Cryotherapy, and Massage Therapy can optimize results for maximum fat mobilization and loss. Ask us about nutritional counseling with Dr. Len to help you with your new lifestyle. What do I need to prepare before/after my appointment? For best results for your cryoskin session, do not eat sugar 2 hours before and after the session. If possible, avoid all kinds of sugar for 4 – 5 hours before and after the cryoskin session. This applies to all kind of sugars (pasta, rice, bread, cereals…) and of course simple starches and sugars. Avoid exercise directly before a session. It will be harder to cool the body down and complete the slimming effectively. For best results, maintain the best possible diet and lifestyle to accompany the treatment (drink plenty of water).